Dr Ramzy Baroud, Palestinian journalist, poet, political activist and historian, son of a freedom fighter, will visit Adelaide 9-10 May 2018 during the South Australian History Festival. This is a not to be missed opportunity for all interested in the contemporary political challenges emanating for Australia from the Middle East. Dr Baroud will be launching a ground-breaking history of the Palestinian refugee question, The Last Earth, published by Pluto Press. Based on a doctoral thesis supervised by Professor Ilan Pappe (the exiled Israeli dissident whom Australian journalist John Pilger has described as 'Israel's bravest historian') at the University of Exeter’s European Centre for Palestinian Studies, the book strenuously challenges the eagle-eyed grand political narratives of the Palestinian question. Instead it adopts the critical 'history from below' approach of a 'people’s history', viewing the problem from the ground up. Using oral history techniques amongst others, Baroud gives us the authentic voices of the refugees themselves, innovatively correcting the traditionalistic, silencing political bias prevailing in historical studies. A history of dispossession and resistance, it is much more than a tale of irredeemable woe. The refugees emerge in their determination to be free of oppression as an historical force. The result is a thorough revision of academic, media and popular preconceptions regarding the history of the Palestinian question from the 1948 Nakba ('catastrophe') to today’s Syrian conflict. All this told in a lucid literary style reflecting the best of his journalistic background. Dr Ramzy Baroud is a US-Arab journalist, media consultant, an author, internationally-syndicated columnist, Editor of Palestine Chronicle (1999-present), former Managing Editor of London-based Middle East Eye (2014-15), former Editor-in-Chief of The Brunei Times, former Deputy Managing Editor of Al Jazeera online. He taught mass communication at Australia’s Curtin University of Technology, Malaysia Campus. Baroud also served as head of Aljazeera.net English’s Research and Studies department. 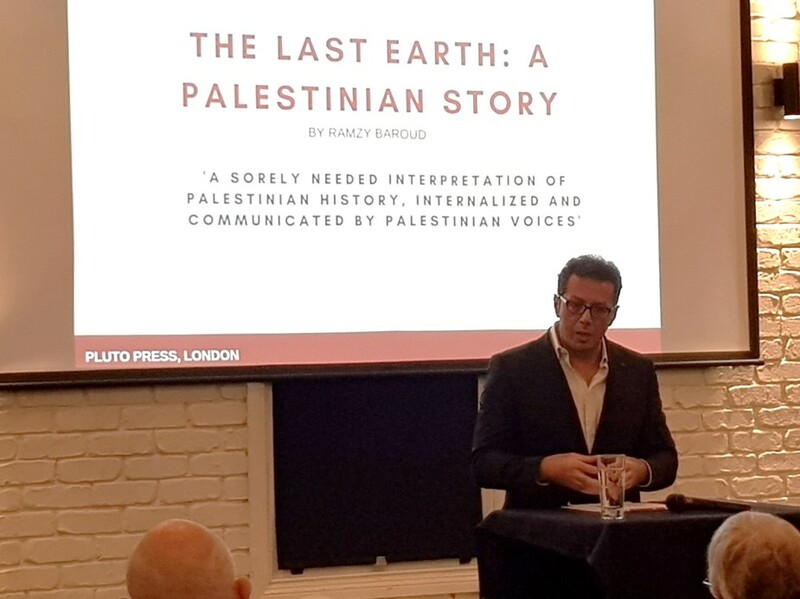 He is the author of four books and a contributor to many others; his latest volume is The Last Earth, a Palestinian Story (Pluto Press, London, 2018). Baroud has a Ph.D. in Palestine Studies from the University of Exeter (2015) and is a Non-Resident Scholar at Orfalea Center for Global and International Studies, University of California Santa Barbara. Event hosted by the Australian Friends of Palestine Association (AFOPA).